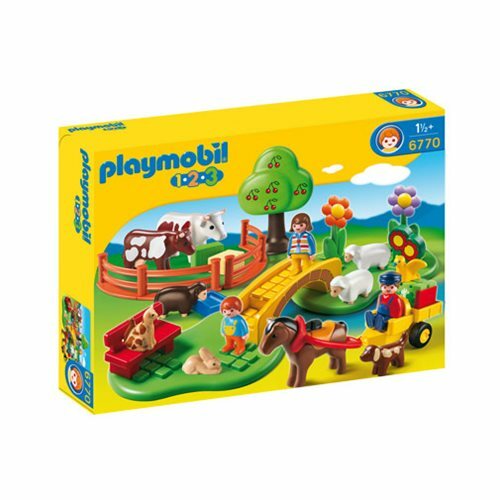 Have fun with the Playmobil 6770 1.2.3 Countryside Playset! This fun set includes 3 pepole and 10 animals, all in a fun outdoor setting. Fence in the cows, let the sheep graze, the horse pulls a cart, and the bunny just sits there arguing with the cat on the bench. We're not going to ask too many questions. Fun for ages 18 months and up.